This has been one of my most difficult reviews in more than a decade of reviewing audio gear. 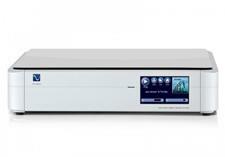 While the PS Audio PerfectWave MKII DAC (PWD) is primarily a DAC, with its multitude of inputs and options, it can be much more than just a DAC. 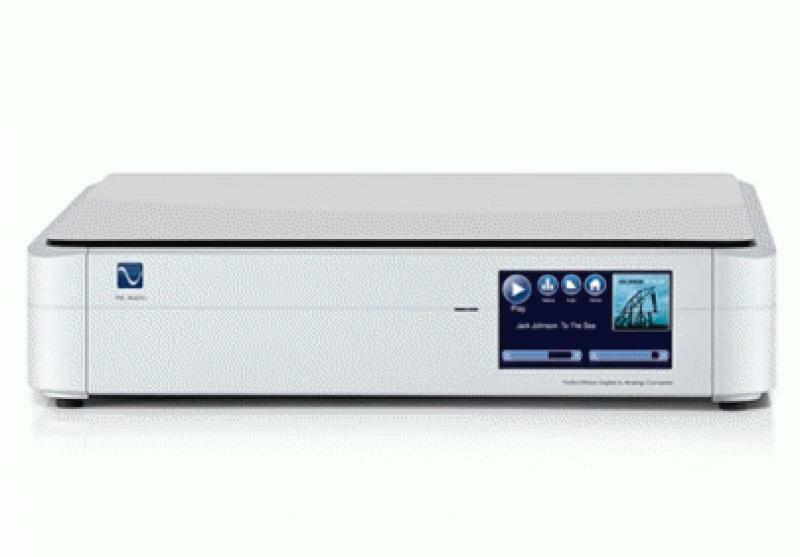 The PWD is part of PS Audio's PerfectWave system. The other source components that complete the system are the PerfectWave Transport (which is reviewed separately) and the PerfectWave Bridge, which allows the DAC to stream audio from a computer network or play music from a disc. My review sample had the Bridge installed, as it was the network audio streaming capability that the Bridge provides that really piqued my interested in the PerfectWave system. Many purists will be pleased to know that the PWD is also a preamplifier, making a separate preamplifier unnecessary (unless you want the option of listening to other sources). • Read more DAC reviews from the writers of HomeTheaterReview.com. • See related reviews in our Media Server Review section. The unit reviewed here is the MKII version with the Bridge. The PWD itself retails for $3,995 and the Bridge is an additional $795. Owners of the MKI version or one without a Bridge can easily upgrade their units, as discussed below in The Hookup section. The PWD is an extremely sophisticated DAC built around a Wolfson WM8741 stereo differential DAC. Seven digital inputs, including I2S over HDMI, toslink, S/PDIF, AES/EBU, USB and network inputs, are available. The inputs are all asynchronous, with the network input accepting up to 192 kHz/32-bit data and the USB accepting up to 192 kHz/24-bit signals. This should allow users to play just about any high-resolution audio file. Most types of audio file will work, including FLAC, WAV, AIFF, ALAC and many more. The PS Audio website details many technological highlights, including an array of audiophile components and selectable filters, but the piece of technology that really makes the PWD stand out is the Digital Lens. The Bridge has had its own Digital Lens since its introduction, but the PWD only received its own Digital Lens with the MKII iteration. The Digital Lens is PS Audio's proprietary jitter-reduction device. I was first introduced to the idea of jitter reduction with Theta Digital's Timebase Linque Conditioner and long discussions with Theta's lead designer, Mike Moffat. I became a believer in jitter reduction then and PS Audio's Digital Lens reaffirmed my belief in it. I note that the Bridge has its own Digital Lens because, when the Bridge is selected as the input, the signal is run through two Digital Lenses. Input selection, as well as phase, volume, balance, filter and sample rate selections, can be made from either the included remote control or the generously-sized touch screen that dominates the front panel of the PWD. The PWD is a full-sized audio component with rounded corners and a horizontal accent line bisecting the front panel. The aluminum and steel chassis is made in Boulder, Colorado, and is available in black or silver with a polished black MDF top. The chassis does not have the jewel-like finish of a Rowland, but it is clean, attractive and feels very solid. The PWD has the same industrial design as PS Audio's PerfectWave Transport; the two look nearly identical, with the exception of the disc drawer on the transport. While the above provides an overview of the PWD's features and some information on the technology utilized, there is a lot more information available on the PS Audio website. PS Audio also has a very active forum that Paul McGowan, the head of PS Audio, actively participates in, allowing owners or those interested in PS Audio gear access to loads of information. The company has a well-deserved reputation for excellent customer service, which is accessible via telephone or Internet. The PerfectWave components are packed in a unique, environmentally responsible manner. The PWD was sandwiched between two flexible sheets of clear plastic, suspended by cardboard frames. (I note that this system was very easy to unpack, but an extra set of hands was very helpful with repacking.) When I originally received the PWD, it was a first-generation unit. Just as I was finishing the first version of this review, the MKII version of the PWD was announced. The end user could upgrade existing units with no need to send it in to the dealer or factory. The difference between the MKI and MKII units included moving from a 24/96 USB input to 24/192, which meant improved power supplies, balance control and a Digital Lens for the remaining inputs (the Bridge already had its own lens). The MKII upgrade kit came with everything necessary to perform the upgrade: parts, tools, a soft cloth to place the PWD on and even new screws, so that the upgraded unit would have unmarred screw heads. The process was relatively simple, with easy to follow written and video instructions. The increase in performance was significant, and my listening notes below are all based on my listening to the upgraded MKII version of the PWD. My review system changed over my extended review period with the PWD. The PWD was always placed on a Billy Bags rack, with no additional damping or vibration control. Power conditioning was by Richard Gray. I did not have an opportunity to try out PS Audio's new PowerBase, which combines power conditioning and vibration control. Disc transports included PS Audio's PerfectWave Transport and an Oppo Digital BDP-95, respectively connected by Kimber Cable's HD-19 (I2S via HDMI) and DV-75 cables. Computer audio files were played back two ways. First was through a MacBook Air running Amarra and connected to the PWD with Kimber's B Bus AG USB cable. Second was by using a DLNA server over an Ethernet connection to the Bridge input. I used this method with both OSX- and Windows-based machines, and with PS Audio's eLyric Music Manager and J River Media Center 18. Entire articles can be, and have been, written on DLNA music server software, so I will not go into them here. If you are interested in learning more about these programs and how they perform with the PWD, I recommend browsing the PS Audio Community forum. The PWD also has wireless network connectivity built in, but as my main network switch was only a few feet away from the PWD, I did not try the wireless connection. There have been numerous firmware updates to both the PWD and the Bridge, all of which were simple to perform. The Internet forums are abuzz with discussion as to which firmware versions sound the best. I did hear some relatively small variations between versions and ended up using PWD firmware 2.2.0 because it worked best with 176.4 kHz/24-bit files. 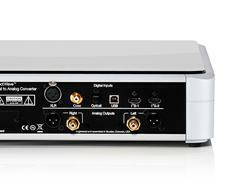 Read about the performance of the PerfectWave MKII DAC on Page 2. Mytek Liberty DAC Reviewed Steven Stone says the Mytek Liberty is a professional-quality DAC that stands toe-to-toe with competitors that sold for twice as much just a couple years ago. Lab 12 DAC1 Special Edition Reviewed Terry London says the Lab 12 DAC1 SE crushes the price-versus-performance ratio in a totally absurd fashion, with beautiful timbres and tonality, powerful macro-dynamics, and an overall analog liquidity you have to hear to believe.